A view from the cycle path: Are transport priorities the right way up ? It has long been the stated aim of many places to have a road user hierarchy in which pedestrians come top, cyclists follow soon after, public transport fits in next and in which private cars come in at the bottom. However, very few places actually behave like this. Typically there is very little obvious link between what literature states about priorities and what is done on the street. I would be surprised not to learn that a similar pattern wasn't also in place regarding such things as timings of crossings. 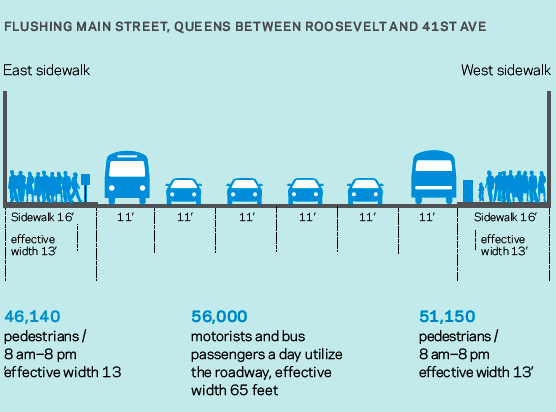 Typically the average delay for a pedestrian is much longer than that for a driver. And of course both the allocation of space and the pattern of timings in favour of drivers is repeated in many cities across the world (such as in Cambridge when we found that cycling got just 0.6% of the transport budget) - yet many people wonder why it is that driving becomes the most popular way of getting around. For cyclists, it's not the same here. There are instances of cycle paths smoother than roads and traffic lights which give priority to cyclists over drivers. And... it seems that it is possible to do this without drivers rioting in the streets. In fact, of course, such progressive steps help everyone. It makes it easier for more people not use cars, resulting in everyone suffering from fewer of the problems caused by driving, and that in itself makes it easier to continue to turn transport priorities around. Conditions for cyclists are not perfect here, but they are an awful lot better than in most places. This is the reason why we organise cycling study tours in this location. It's a great place to come and see the infrastructure which features on this blog for yourself, or encourage your local planners or cycling officers to visit. We have the experience both of what is normal in the UK (where street design is similar in intent to the US), and here. To recap, here are examples of directness, comparisons with the UK, school travel and the important of subjective safety. Cyclists being given a much greater importance in planning is also one of the reasons why this is such a good place to have a cycling holiday. Well anyone who has read 'Crap Cycle Lanes - 50 Worst Cycle Lanes in Britain' will know that they only need walk around any UK town for five minutes to discover contenders. I've linked your excellent article above to 2020 Vision. Both the upcoming TRL research on UK cycle safety issues and IAM's report on 'what makes a motorist use a bicycle (or not)?' makes very depressing reading for those of us stupid enough to continue living in the UK with a bicyle.